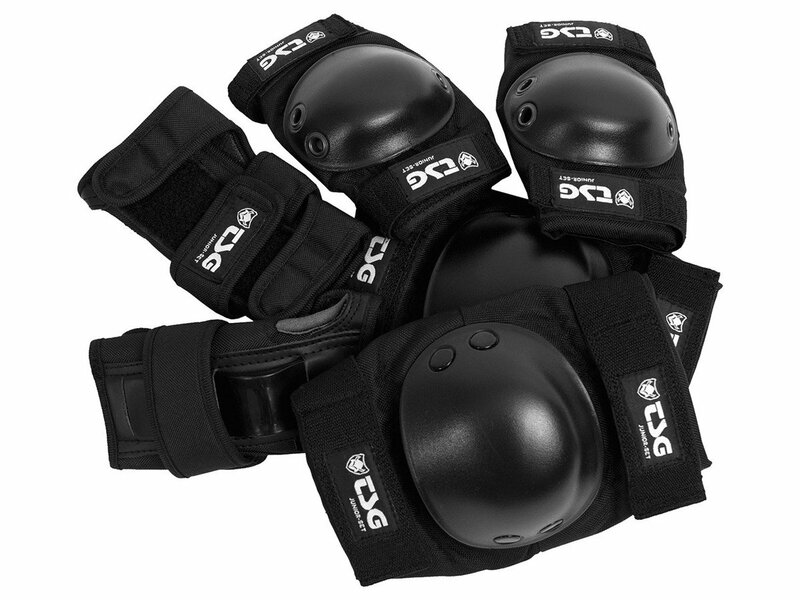 The TSG "Junior" Knee + Elbows Pads + Wrist Guard Set - Black is a beginner set of protection with a knee/shin protector and elbow pads specially made for kids upto 7 years. The pre-bended design fits perfectly to ride a BMX bike, and provides three straps for adjustment. Vented mesh and foam allow fresh air to circulate. Strong PE caps at elbow and underarm protect your little ones' safely.